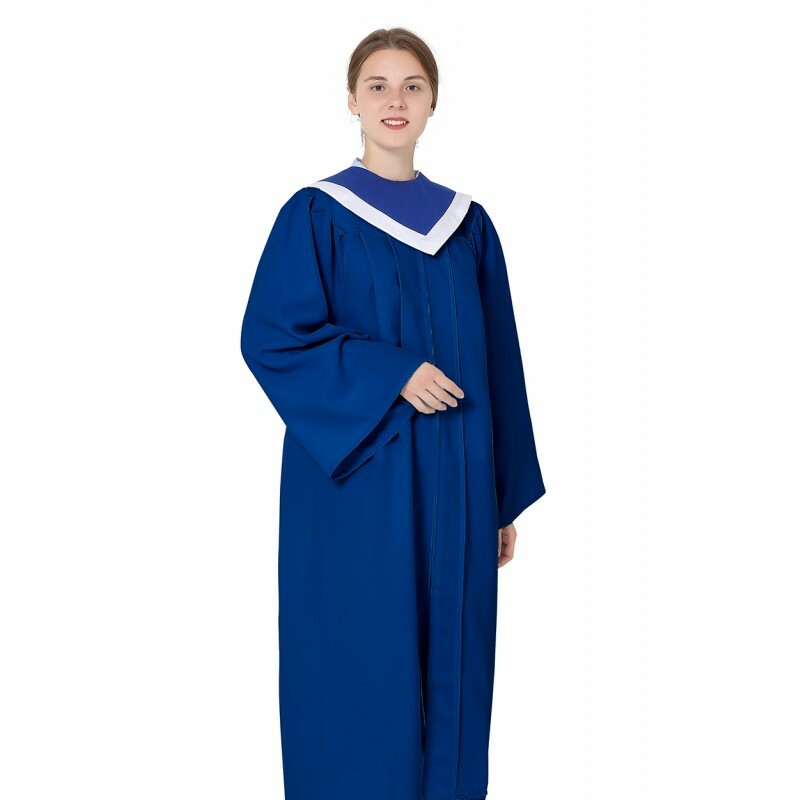 This choir robes(classic choir gowns) and stole is most popular robe in choirs because of its classic style and high quality. It is made of quality 100% polyester Matt fabric and feels nice and smooth to touch, which is durable lasts for years of service. And it not only offers you the affordable price, but also features high quality and finest workmanship. 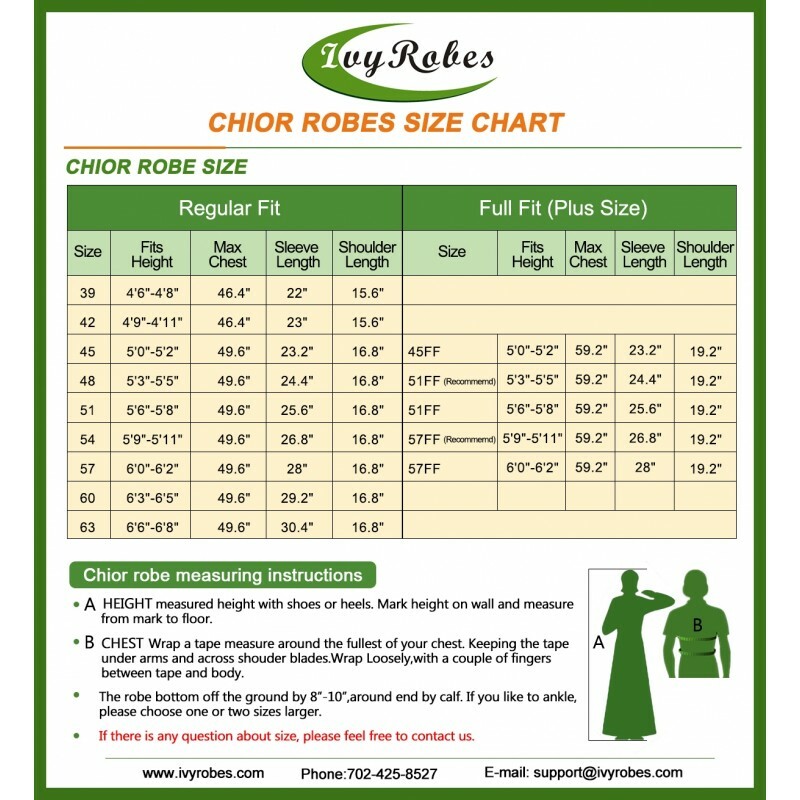 Now we have 12 popular colors for the choir robes and all the robes are in stock. 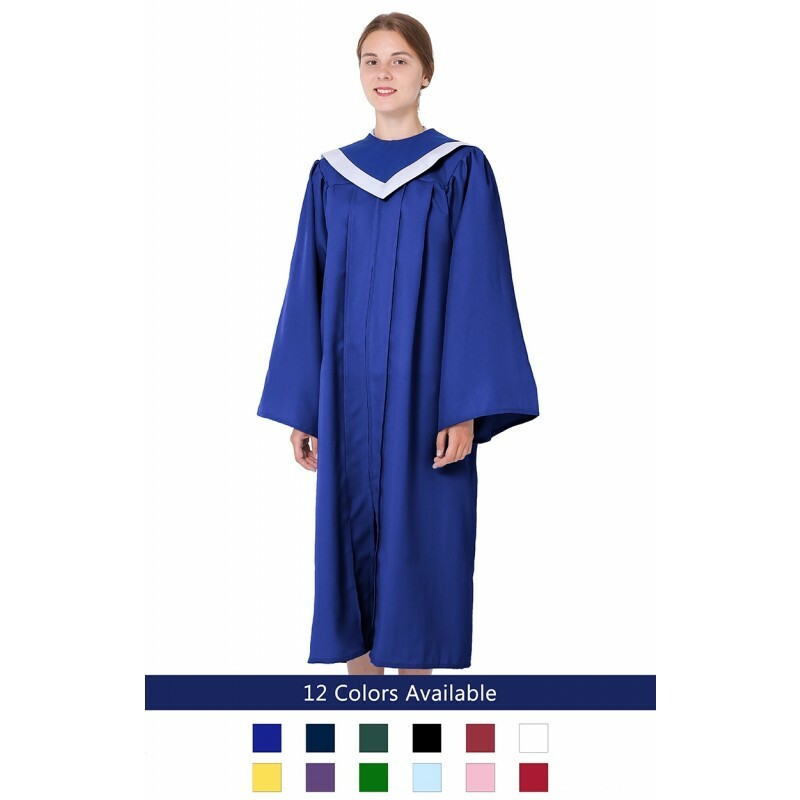 Meanwhile, there are 5 colors for the reversible choir stole, maroon/white, maroon/gold, royal blue/white, royal blue/gold and red/white. We also can custom the stoles for you, which needs 1-3 weeks for production. We ordered 50 of them for the choir and they came like 2 weeks early, the packing was impeccable and all was in order, no missing items, nor mistakes on the sizes. 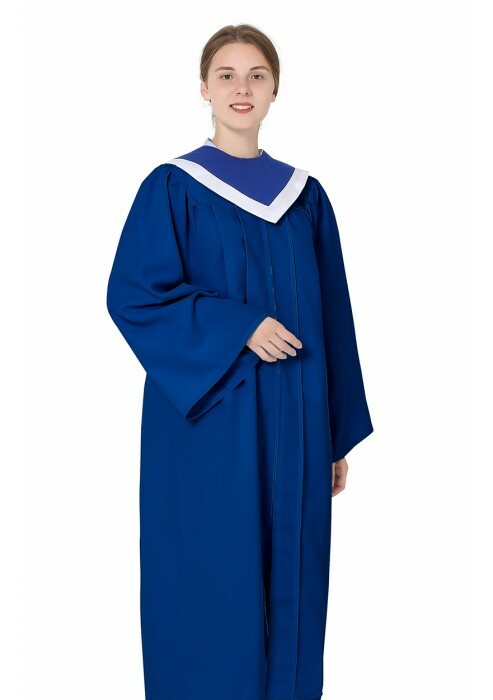 These choir robes are of good quality, I am very happy. The shipping and handeling was very fast. 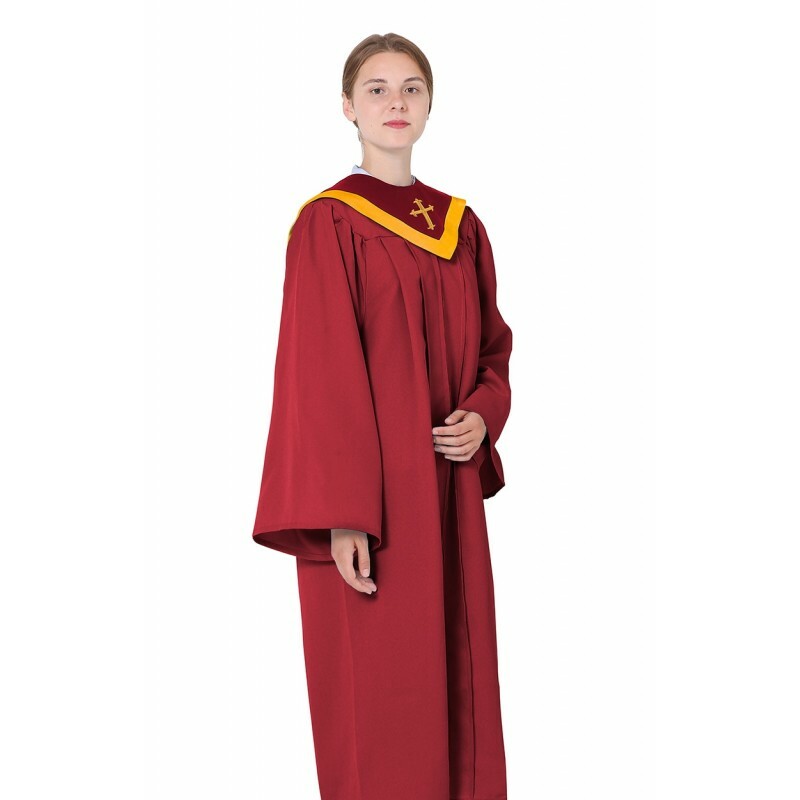 Perfect robe and stole, I ordered the maroon with the maroon/gold stole. before I could give you a response. We are happy, thank you very much. 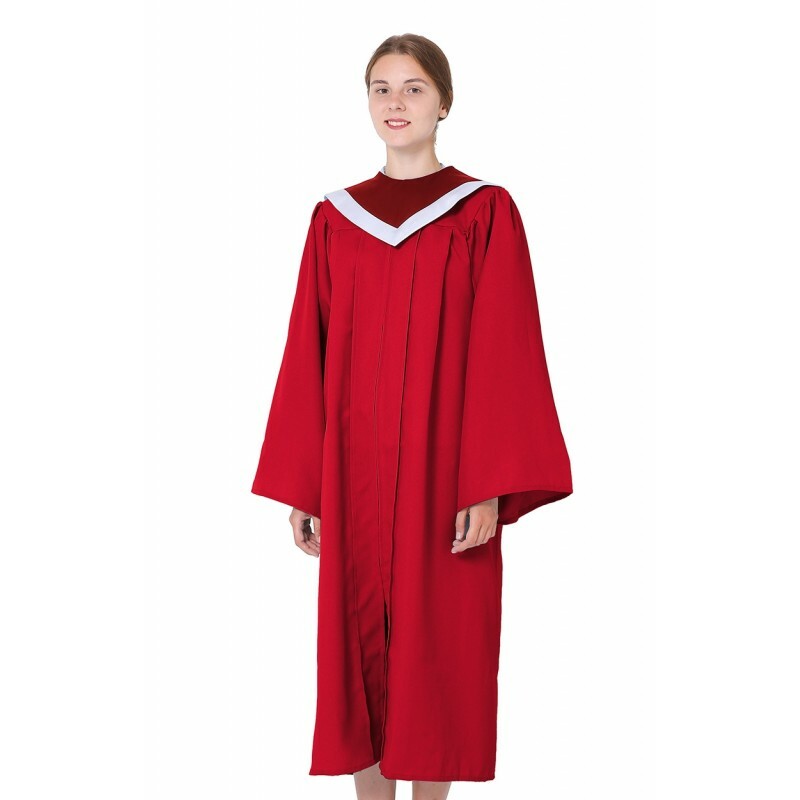 the price for the choir robes was great. the deliver was great. the robes could use about another two inches in girth. my advice to anyone who is thinkiing about purchsing these robe should pay the extra five dollars and get the full-figure. we're cutting up one of the robes and doing alterations. also in my order i received one stole with a cross on it. 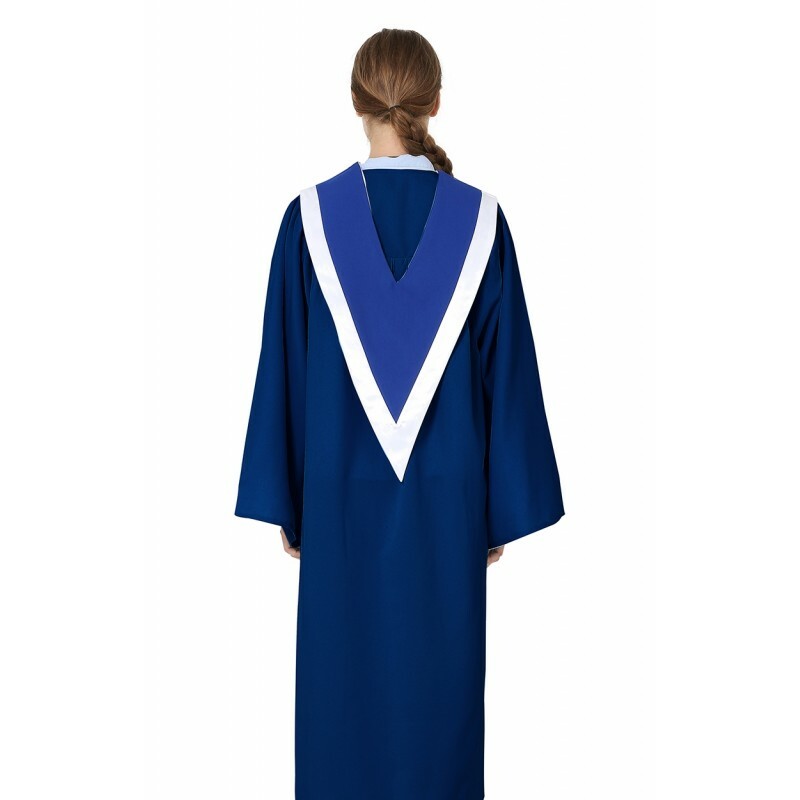 The choir robe and the stole is good quality. And also cheaper than other shop.